The Tennessee Supreme Court recently issued an important opinion, State of Tennessee v. James David Moats, which upheld a ruling out of the Court of Criminal Appeals. The opinion threw out the conviction of James David Moats who was found guilty for driving under the influence after an officer found Moats sitting in a grocery store parking lot. 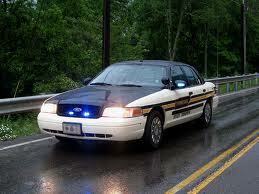 The incident occured in Etowah, TN when an officer was on a routine patrol at 2 in the morning. The officer saw Moats sitting in the driver’s seat of his pick-up truck in an area that the officer described as being known for drug activity. The officer continued on her patrol route and returned several minutes later to find Moats in the same position. That’s when the officer pulled up behind the pick-up truck and flashed the blue lights on her car. The officer then recorded Moats’ license plate number and called it in to dispatch to be checked out. When the officer approached Moats’ window, she noticed an open beer car in a cup holder and also observed a set of keys in the ignition to the truck. This prompted the officer to administer a field sobriety test and resulted in Moats being taken into custody. The case progressed to a trial where the arresting officer admitted on the stand that she never witnessed Moats engage in any illegal activity. Moreover, she acknowledged that once she flashed her blue lights, Moats was no longer free to leave the scene. The trial court judge found that it was acceptable for the officer to approach the vehicle and ask to see identification and proof of registration despite a lack of reasonable suspicion of criminal activity because the officer was acting under a doctrine known as community caretaking. Community caretaking refers to a kind of behavior that takes place between officers and citizens that is consensual and unrelated to the investigation of any specific criminal activity. Essentially, community caretaking occurs when officers are merely informally talking to citizens, not investigating a crime. The case was appealed and the Court of Criminal Appeals found that the trial court was incorrect in supporting the officer’s actions. The Court found that the encounter with Moats was not voluntary and therefore the encounter should be seen as investigative rather than consensual given that Moats was not free to leave. That means the community caretaking doctrine could not be used to justify the officer’s actions that night. The case finally made its way to the Tennessee Supreme Court, which agreed with the Court of Criminal Appeals. The Supreme Court held that though there is no categorical rule that once an officer turns on their lights constitutional protections then go into effect, a reasonable view of the circumstances that night show that the officer used her blue lights as a demonstration of her authority. This show of authority was done without any probable cause or reasonable belief that a crime had occurred. The Supreme Court went on to say that while the community caretaking role of an officer is an important one, it must be exercised in a strictly consensual way. An officer cannot claim to be engaged in an informal conversation with a citizen if they have simultaneously made a show of authority which would lead that person to believe they were required to stay. The dissenting justices believed the majority was wrong in overturning the trial court’s decision. They instead believed that there should be a special community caretaking exception to the Fourth Amendment’s requirement that officers have probable cause before engaging in a search and seizure. Corrections Corporation of America's legal settlements are subject to TN Open Records law.